These '@' Vega-style marquee lights are professionally made and are extremely popular as Vintage 3D room decoration and event signage. Each battery powered letter or number is made of heavy, solid metal and can be hung (has keyhole slot in back for easy hanging) on walls, mantels or placed on top of a reception table during your event or celebration. 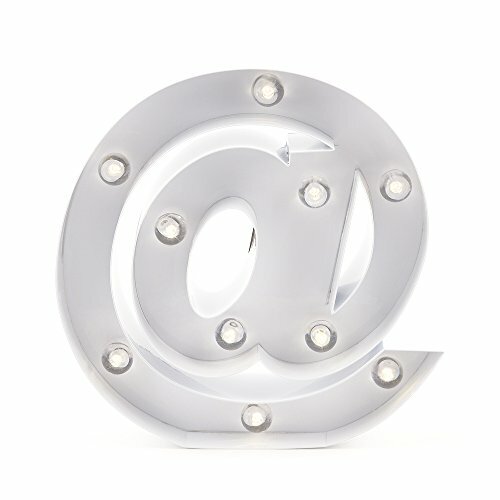 Promote your Social Media Internet username or address for example, by combining our '@' with Letters and Numbers to create a whimsy showpiece at home or business. Our illuminated marquee lights are highly versatile and portable as they measure just 8 inches tall, 2 inches thick, and will take 2x AA batteries so they are not too oversized and will not need to be plugged into an electrical outlet.Product Dimensions:Shape: '@' Symbol.Height: 8 Inches.Thickness: 2 Inches.Light Bulb Type: LED (Energy Saving).On/Off Switch:3 Position Switch: 1- On Full Brightness, 2-Off, 3- On Half Brightness.Timer Function: 6-Hour On and 18-Hour Off Timer Function Built In.Light Bulb Size: 0.75 Inch.Color: Glossy White.Display Options: Keyhole slot for hanging or can be placed on any flat surface.Material: Painted Metal with Smooth Finish.Batteries Required: Each Marquee requires 2x AA batteries - Not Included. 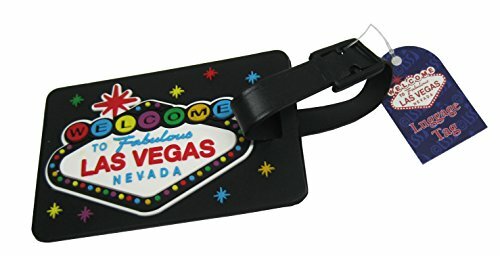 You get 1 of these luggage tags. The back of the luggage tag has plenty of room for your address or personal info just in case you lose your bags. 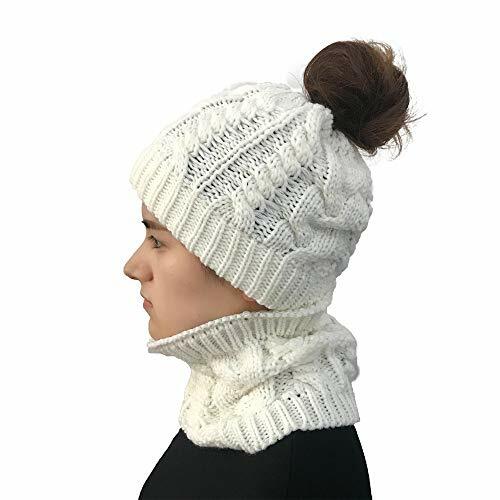 Makes for great gifts! Or just use it yourself!